Business engineer from Pacifico University and European Business School London. Her passion for jewellery was latent since she was less than 6 years old. That let her to travel at her 20 years to the highlands of Peru to learn jewellery techniques with master artisans. Then, she studied jewellery design and 3D Design applied to jewellery in New York. Her main professional experience is based in project management and sustainable development. 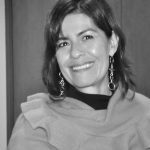 Business administrator from Católica University Arequipa, she has dedicated more than 15 years to educate women from vulnerable communities from Peru. 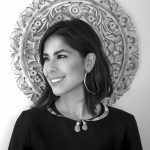 She has directed ANSPAC Peru, NGO dedicated to the development and education of mothers from extreme poverty areas of Lima, by teaching human values and moral, and empowering them through handcrafting skills. 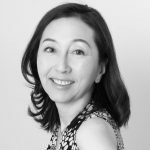 Akiyo Matsuoka (Japan- New York) launched her design career in 1993 with an assignment to develop pieces for the Escada 1994 spring/summer and fall/winter jewelry collections. She was selected as a 1994 Diamonds-International Awards finalist and graduated with honors from Parsons School of Design in New York City.